Qi gong combines stretching, strengthening, flow, mindfulness, breath, and energy into one simple practice. 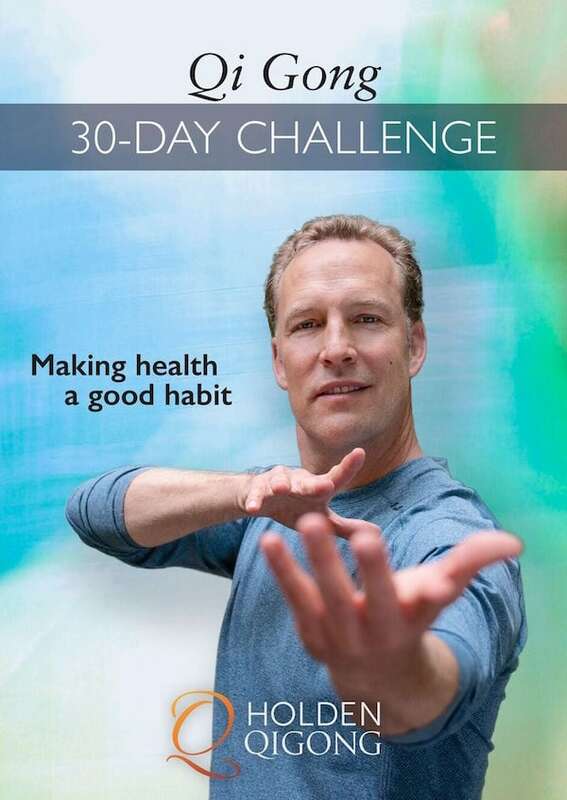 Qi Gong 30-Day Challenge is the easiest way to gradually build up your qi gong practice and improve your health and well-being. This simple series of 30 short daily routines is designed to cut your stress levels and boost your energy as efficiently as possible. Anybody can find a few minutes each day to practice qi gong, and that’s long enough to shift you out of that “fight or flight” stress mode and help you relax deeply. After 30 days, you’ll have built a healthy habit that helps you improve your mood, clear tension, and recharge quickly every day. This series is also a perfect way to introduce someone you care about to qi gong. You’ll feel better on day one, and as you continue to progress and revitalize your mind, body, and spirit, you’ll find that wonderful things happen in all aspects of your life.